Workshop for Adults: Tape VueOctober 20, 2018, 7:30 - 9:30 p.m. The exhibition shows the most famous architectural visions of King Ludwig II as well as lesser known examples of buildings from the time of his reign. 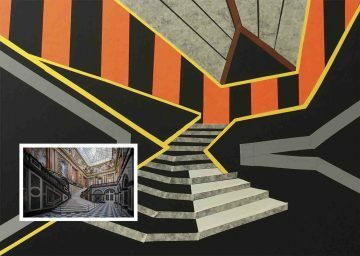 Participants will select one example from the models, films, paintings and a newly produced series of current photos on show and will produce their own vision of his architecture.